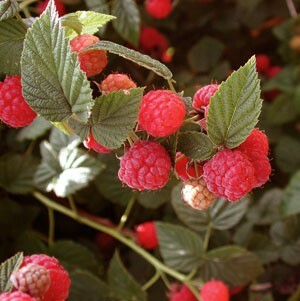 Red Raspberry-Grown for it's sweet fruit but also leaves are used as a medicinal tea. Eat shortly after harvesting because berries do not store well. This variety makes great jellies and jams.